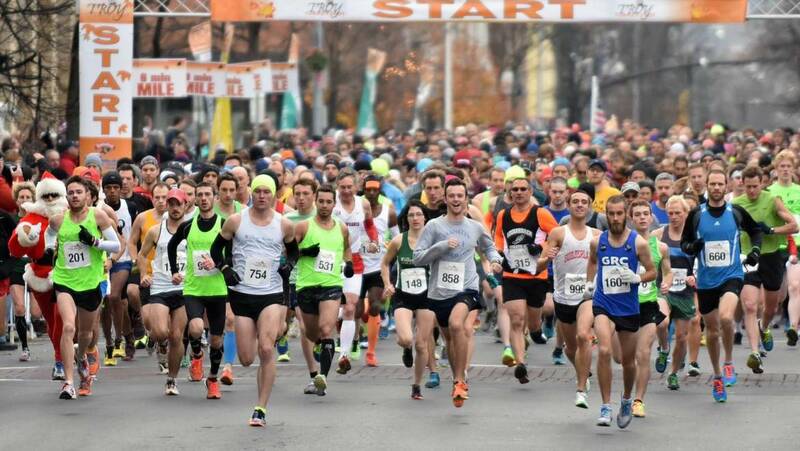 TROY, NY – Mayor Patrick Madden today issued several reminders to individuals who will be visiting the City of Troy for the 71st edition of the Troy Turkey Trot on Thanksgiving Day, Thursday, November 22. 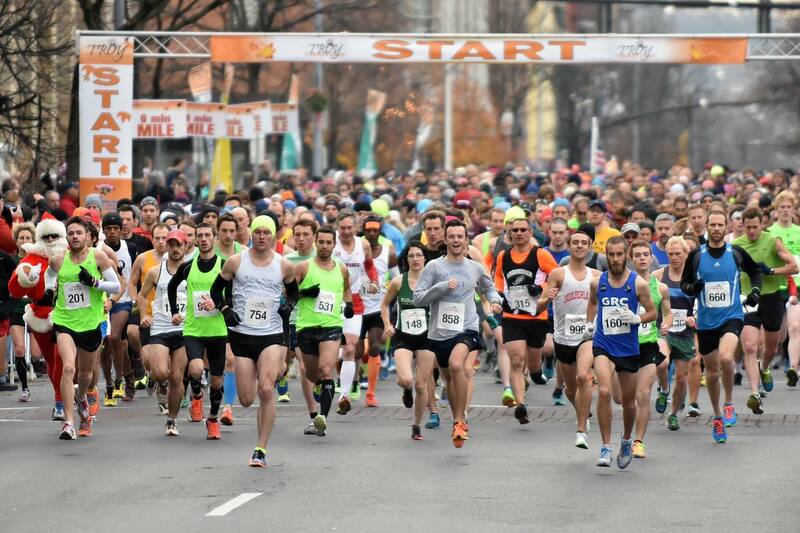 Race organizers have extended online registration until Wednesday at 5:00 p.m. Race day registration is also available up to 30 minutes before the start of each event. 10K (8:00 a.m.) — Day of registration closes at 7:30 a.m.
Grade School Mile (9:30 a.m.) — Day of registration closes at 9 a.m.
Turkey Walk (9:35 a.m.) — Day of registration closes at 9:05 a.m.
5K (10:00 a.m.) — Day of registration closes at 9:30 a.m. Forecasters are predicting Thanksgiving Day will be partly to mostly sunny and frigid with wind chills in the single numbers to below zero. To make the event more enjoyable for participants, organizers will have patio heaters at the start/finish lines to keep runners warm, as well as hand warmers and gloves available for volunteers. Runners are advised to wear a wind-resistant shell or jacket that can be unzipped to let heat out if needed, as well as gloves and a hat/headband. On Wednesday, Trotters should also aim to hydrate themselves well and limit their consumption of alcoholic beverages. Following the event, participants should get through the refreshment area quickly and not stand around for too long outside. The following establishments will be open in downtown Troy on Thanksgiving morning during the Troy Turkey Trot. All will be serving a limited menu, as well as coffee and hot chocolate, etc. Any non-see-through packages (i.e. back packs, duffle bags, etc.) will not be permitted on the race site. All non-see-through bags should be safely secured in participants’ vehicles. (Commemorative see-through bags will be available at packet pick up on Sunday, Nov. 18 and Wednesday, Nov. 21 from 11 a.m. to 6 p.m. at the Troy Atrium and on race morning.) See-through plastic bags may be checked in at the Trot’s baggage check located in The Atrium. All bags are subject to inspection. Costumes covering the face will not be permitted. Bulky costumes that may interfere with others are also prohibited. Spectators will not be allowed in the finish chute. Please meet your runners in Monument Square. Cooperation from participants and visitors is essential. Please help us provide a safe and pleasant environment for all at this venerable event. And remember, if you see something, say something by calling 9-1-1.